Lowest Prices Are Just The Beginning! 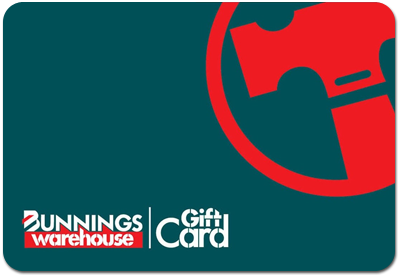 Use this Gift Card towards any purchase of goods at any Bunnings location in Australia. This Gift card can only be used once. When redeemed, the Gift Card must be relinquished to the cashier. Maximum change given is $9.95. Bunnings is not responsible for lost, stolen or damaged cards. This Gift Card is not a credit card or debit card. This card is not redeemable for cash. Only valid if purchased from Bunnings.